Climate change is one of the biggest challenges that the world faces today. Rising global greenhouse emissions (GHGs) are creating major impacts on the global climate and the world is now looking for ways to reduce these emissions. One of the ways to combat climate change is to increase the use of renewables such as solar, wind, hydroelectricity, biomass and geothermal energy. So, in an effort to combat climate change, some of the most influential companies in the world have become a part of a green alliance called RE100. RE100 is a conglomerate consisting of around 36 companies (to date) that has been formed with a target of utilizing 100 percent renewable power in their operations. This green alliance is spearheaded by The Climate Group and CDP, and was launched last year in New York with 12 members initially. However, the group is gaining momentum, with companies such as Goldman Sachs, Starbucks, Nike, P&G and Walmart joining the campaign. What are the targets exactly? Or take Goldman Sachs, the world’s leading investment banking, securities and investment management firm, which aims to go 100 percent renewable by the year 2020. This is a commendable goal, but when we look at the specifics, we find that the firm’s goal may not be quite as impressive as it sounds. 100 percent renewables sounds nice, but what does this actually mean? When we look at the technical criteria for the RE100 green alliance, we find that the group has its focus on ‘renewable electricity market’ which varies from one country to another. Considering these variations, any company can opt for its own 100 percent renewable electricity program through two options: 1) On-site electricity generation, or 2) Off-site electricity generation. Taking a closer look at Goldman Sachs, we see that the firm would be pursuing its target by sourcing renewable energy through long-term power purchase agreements. “Because we operate across 178 offices globally, inevitably one of the challenges we expect to face is that in certain locations, renewable energy is not available or economical. 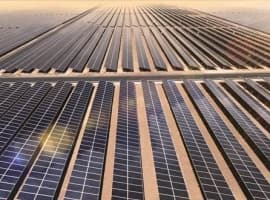 In locations where this is not feasible, we will source high-quality, credible renewable energy certificates that enable the development of more renewable energy projects,” said Goldman Sachs Head of Environmental Markets Group, Kyung- Ah Park. 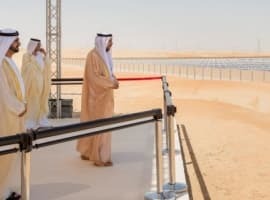 He further went on to say that his company had mobilized close to $33 billion since 2012 in renewable technologies along with setting up a ‘Clean Technology and Renewables Investment Banking’ team. As of 2014, Goldman Sachs’s total electricity consumption stood at 513,335 MWh and its total renewable electricity consumption stood at 73,447 MWh (around 14 percent of the total electricity generation) during the same year. Related: What Will Happen To Oil Prices When China Fills Its SPR? Does this mean that Goldman Sachs is now bullish on renewables and is switching away from conventional fossil fuels? The firm presented a bleak picture for the future of oil prices in its September 2015 forecast. Analysts and experts at Goldman Sachs are predicting oil prices will reach $20 per barrel levels mostly due to rising global oversupply. But in response to low oil prices, global demand for fossil fuels is increasing (along with an increase in CO2 levels), undermining climate change efforts. Also, low oil prices would make it difficult to justify the cost of using renewables. In the above chart, we can see that the major sources of greenhouse gas emissions are electricity production, transportation and manufacturing-construction and industrial processes. 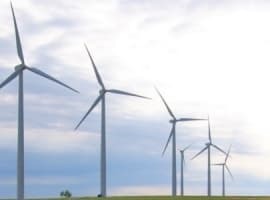 With increasing participation and clear renewable electricity goals, the RE100 alliance is indeed doing a commendable job, but this ‘Green Electricity Alliance’ is only focusing on one slice of the pie: electricity. That still leaves a large swathe of the global economy that will be powered by fossil fuels. The group should adopt a holistic approach and include all company related operations (like transportation, logistics and manufacturing) that can be covered by renewables. Any ‘green’ alliance that is formed to combat climate change cannot afford to ignore the environmental impact of transportation and the industry sector that together represent nearly half of total global greenhouse emissions. Today, transportation is indeed the toughie. Would be nice to see the "100" make progress in transportation now that options are opening up for alternative-power vehicles, along with options for living and traveling differently.